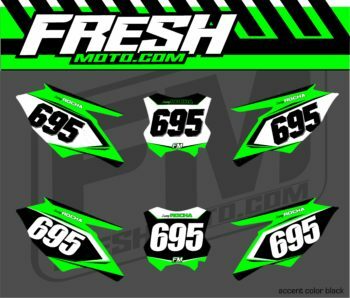 Your Number Plate Backgrounds come with Front and Side Number Plate background graphics and are printed on our MX Thick Fresh Moto material. 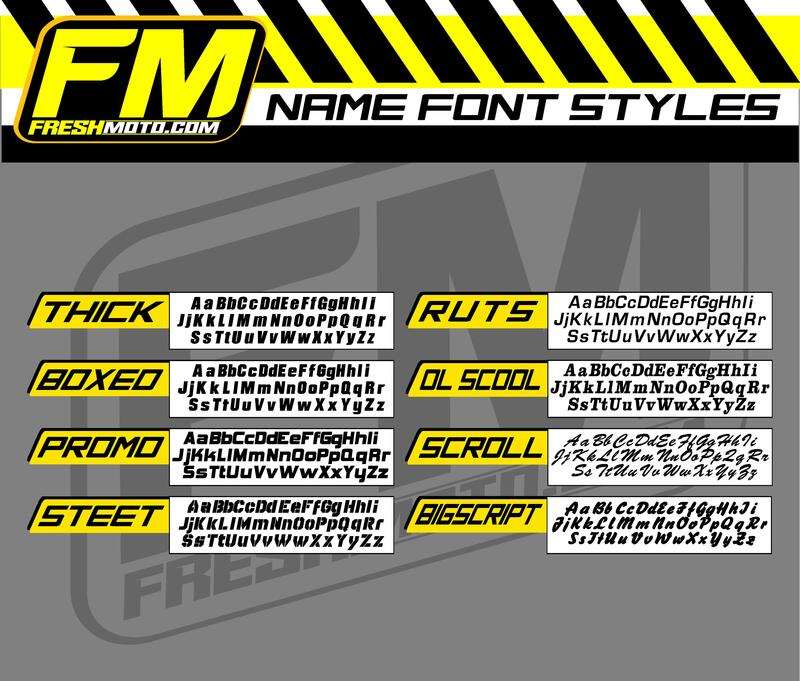 Customize your backgrounds by filling in your choice of logos, color options, and font choices. Number Plates will usually ship within 5 to 7 business days if no proof is ordered. If you would like to see a proof of your graphic kit before its printed, please select the proof option below. Proof revisions will be sent within 2 to 3 business days. Once the proof has been approved, we will print and ship your order within 5-7 business days. Please note: Your kit design may differ slightly depending on model and year. 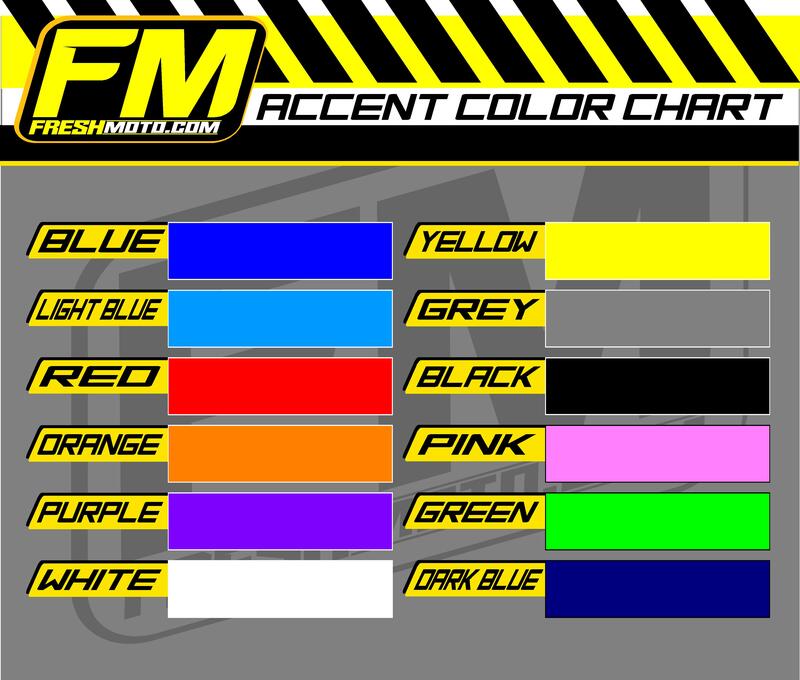 Please list if you have baja designs, cycra plastics, or UFO restyle kit in the Notes section of your order. 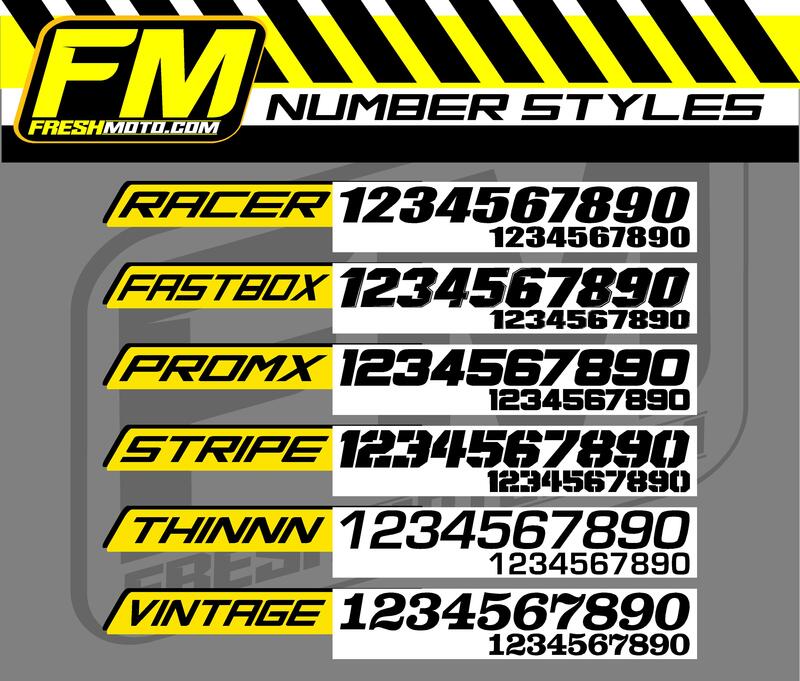 Not sure what plastics are on your bike? 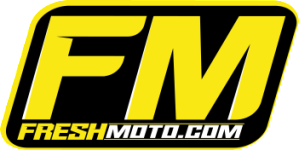 Email Freshmoto@yahoo.com a few pictures of your bike. Our team of experts should be able to identify them for you. 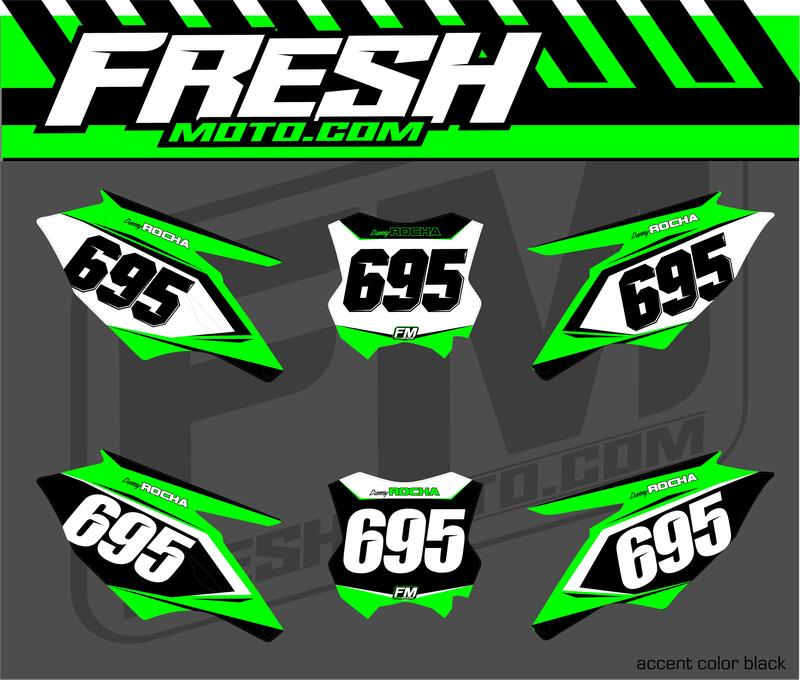 Be the first to review “Number Plate Backgrounds – Kawasaki Standard” Click here to cancel reply.